Why should you come this November? This year’s event, “Africa Unlimited” brings an exciting two-day program to Georgetown University’s ICC Auditorium. A brainstorming session with breakout groups co-moderated by local leaders and Georgetown students on Friday, November 2nd. This will be followed by a speaker series on Saturday, November 3rd. We are honored to introduced to you our lined-up speaker. Edward is a tech entrepreneur who co-founded, Nandimobile.com, an award-winning Internet start-up in Ghana with two other co-founders after graduating from Ghana Meltwater Entrepreneurial School of Technology (MEST). In Feb 2011, his company won the BEST BUSINESS Award at the Launch Conference organised in the Silicon Valley. He is also an Executive Member of BloggingGhana, Ghana’s biggest association of bloggers and social media enthusiasts. As a tech blogger, Edward has specific interest in Technology, Entrepreneurship and Capacity Building opportunities for young people. He currently sits on the Ghana Decides project as an adviser. With a young and vibrant team, Edward has organised over 15 Barcamp events in 7 out of 10 regions in Ghana. Saran Kaba Jones is the Founder and Executive Director of FACE Africa, a Massachusetts based nonprofit that funds and supports sustainable clean water, sanitation and hygiene projects in Liberia. Since launching FACE Africa in January 2009, the organization has raised over $350,000 for clean water projects in Liberia. In recognition of her commitment to clean water initiatives that have benefited over 10,000 residents in Liberia to date, Saran was recently appointed Goodwill Ambassador for the county of River Cess, Liberia. In her new role, she will encourage and promote business and philanthropic investments throughout the county, beginning with FACE Africa’s ‘County by County’ Commitment, which will seek to construct 250 clean water wells in River Cess County by 2017. The initiative, scheduled to begin in the Fall of 2012, will provide complete water coverage to the county, benefiting over 60,000 residents, and will ensure that River Cess meets the Liberian Government’s 250 persons per safe waterpoint standard. A firm believer in the private sector as the best possible option for sustainable social and economic change in Liberia, Saran recently co-founded the Monrovia-based company, Empire Group, to create businesses in the areas of small-scale manufacturing, agriculture, and hospitality. In 2012, Saran was listed by Black Enterprise as one of 10 International Women of Power to Watch and by Daily Muse as one of 12 Women to Watch. In 2011, she received the Applause Africa “Person of the Year” award and was the Voss Foundation’s Women Helping Women Honoree. She was also a Huffington Post “Greatest Person of the Day,” and listed as one of Forbes Magazine’s 20 Youngest Power Women In Africa. 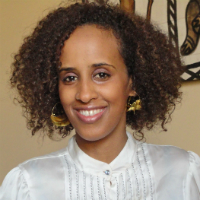 Her work with FACE Africa has been profiled in the Boston Globe, Harper’s Bazaar Arabia, ARISE Magazine, BBC Focus on Africa Magazine and InStyle Magazine. 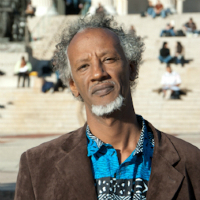 Abdi Latif Ega, a long-time resident of Harlem, New York and a Ph.D candidate and teaching fellow at Columbia University, who has had an abiding love for the history, literature, and research on Somalia and Africa in general. 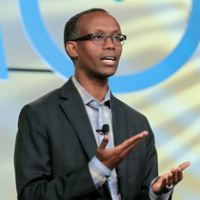 Influenced by writers of African decent from all corners of the world, Abdi followed his passion to write his first novel, in a series of novels from the medieval times to present day Somalia. His debut novel, “Guban” (meaning “burn” in Somali) should be read not just for its stunning imagery and language, but also for what it says about the human condition. The novel establishes context for Somalia that readers might be familiar with, all while challenging that very image. 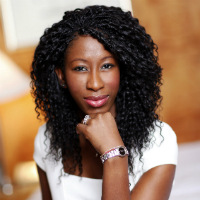 Bunmi John Oloruntoba holds a PhD. in Communication Studies from Regent University, where he taught has an adjunct professor from 2006 to 2008. 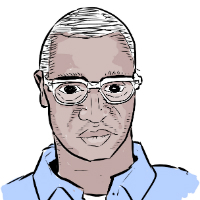 In 2011, he started 3bute.com, a mashup image interaction platform that lets artists collaborate with writers on 3-page visualizations of their stories and journalism. The 3 page visuals produced become interactive virtual “bulletin boards” for readers to tag with multimedia context they think is relevant to the story. By combining the power of crowdsourcing with the 3-page visual adaptation of stories, 3bute’s goal is to bring the contextual world of African stories and news reports to life, helping a new generation of readers engage the continent in more immersive ways. Oloruntoba’s work on 3bute.com has appeared on Boing Boing, BBC Focus on Africa magazine, City Press newspaper, Drawn, The Future of Journalism project and Colorlines Magazine. 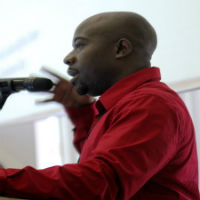 In September 2012, 3bute, alongside Global Voices, won a Telkom-Highway Africa New Media Award for innovative use of technology for community engagement. 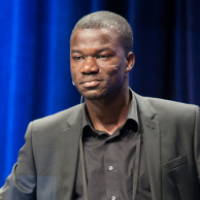 Mohammed Touré is the founder and editor-in-chief of SEADiaspora, an online publication on African affairs, sharing diverse perspectives on Africa, from the continent and abroad, through the lenses of culture, economics, and politics. Mohamed is currently a business professional based in Maryland, in addition to serving on the steering committee of Alliance Guinea, an organization focused on human rights, democracy, and justice in Guinea. He is an associate at the Harambe Entrepreneur Alliance. Mohamed also serves as a special advisor to the president of the Association of Guineans in the DMV. He graduated from the University of Baltimore with a B.S. in Business Administration and a concentration in International Business. His commitment to Africa’s development is rivaled only by his zeal as an A.C. Milan fan. Caitlin Kelley’s mission is to help people live their greatest potential and to shift the paradigm of how the West interacts with Africa. After studying African history at Northwestern University, the path to facilitate justice and self-determination wherever possible took her to Tanzania where she learned Swahili and worked at a grassroots NGO.While there, she saw the world of local NGO’s from the inside out and met many passionate, educated locals hungry to find lasting ways to make a positive impact in their country. In 2009 she and partner Jafari Msaki founded Africa Volunteer Corps, a service corps for Africans to work in African-initiated development projects. Currently in the pilot phase, Africa Volunteer Corps aims to foster home-grown leaders for African development and strengthen ground-up social change in Africa. 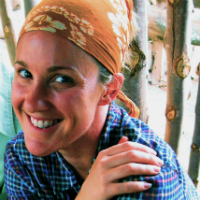 Erika Freund, Owner/Designer of Mikuti, has been working in East Africa since 2009. Mikuti seeks to merge the world of jewelry, fashion, and economic development, by creating jobs, forming partnerships, and supporting existing workshops and employment chains in Kenya, Tanzania, and Uganda. Freund focuses on creating innovative designs and quality products using locally sourced materials, while harnessing existing trades and skills. The goal of the company is to be an active, positive participant in economic growth, job creation, producing and sourcing within the African continent. Mikuti jewelry has been featured at Mara Hoffman Resort Swim Show at Mercedes Benz Fashion Week Miami, London’s Fashion Week, Swahili Fashion Week in Tanzania and The Hub of Africa Fashion Week is Addis, Ethiopia. Freund holds a Master’s of Social Work with a focus on Economic and Social Policy from NYU, though creativity and fashion has always had a strong presence in her life. She draws her inspirations from love, music, art and spirituality, the vibrant colors of Africa, ancient traditions and symbolism, and indigenous cultures. She likes to create classic pieces with just the right amount of edge and statement. Kwame is a co-founder of Coders4Africa, an NGO with a vision to create and support a Pan-African community of competent, internationally certified professionals focused on developing the IT tools for African Agriculture, Business, Education, Health Care, Government and general Social needs. He currently works as a Manager of Digital Analytics for publishing company in New York. Prior to this, he worked with the US Department of Energy and Princeton University in marketing their academic competition software globally. He holds a BA in Management of Information Systems and a Msc in Internet Marketing. A passionate ICT4D enthusiast, father and musician, Kwame aims to unite Africans through technology and music. Pauline Muchina comes from the Rift Valley Province in Kenya, where her family still resides. She came to the U.S. to study. When she finished her Ph.D. in 2000, she got involved in advocacy efforts to defend the rights of marginalized and poor communities around the world. Muchina joined UNAIDS in January 2006 as the Senior Women and AIDS Advocacy Officer. She is currently serving as the Senior Partnership Adviser for UNAIDS in Washington, DC. Previously, Muchina worked as the Global Health Council’s community and faith-based organization outreach coordinator and with the AIDSMARK team at Population Services International. Prior to moving to Washington, DC, Muchina worked for the AIDS Resource Center and World Council of Churches in New York. 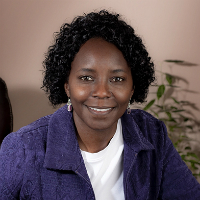 Muchina is a member of the Circle of Concerned African Women Theologians, and has served on several advisory boards, including Christian Connection for International Health, Foundation for Sustainable Development and Women Deliver. In 2012, Pauline received the United Methodist Church Global AIDS Leadership Award. She holds a Masters in Divinity from Yale University Divinity School and a Ph.D. from the Union Theological Seminary in New York. Muchina believes in saving lives even if it means having the ability to save one at a time. Thomas Debass serves as a Director for Global Partnerships in the Global Partnership Initiative, responsible for economic growth, global finance, and entrepreneurship; as well as leading the Department’s Diaspora engagement efforts. Prior to joining S/GPI, he was Lead Economist in the Office of Investment Policy with the Overseas Private Investment Corporation (OPIC) in Washington, DC. At OPIC he was responsible for economic evaluation and monitoring of OPIC-supported private investment projects in emerging and frontier markets. Thomas also served as a senior technical advisor in USAID’s Global Development Alliance (GDA) and Economic Growth, Agriculture and Trade (EGAT) teams. In this dual role, Thomas designed and launched new and innovative partnerships around Diaspora-led activities; and also coordinated EGAT/MD’s work on microfinance’s transition to private capital, loan guarantees, and broader financial sector partnerships. Prior to his development finance career, Thomas worked as a consultant for an agricultural research project in East Africa; and served as research associate for USAID-supported Integrated Pest Management – Collaborative Research Support Program (IPM-CRSP) in Bangladesh and Uganda. 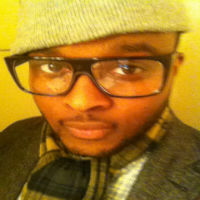 Thomas is a graduate of Virginia Tech with a master’s degree in Applied Economics and a bachelor’s in Economics. He also has an Executive Certificate in International Business Management from the McDonough School of Business at Georgetown University. 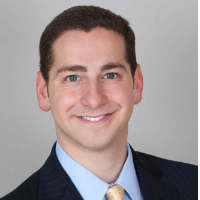 Dr. Zachary D. Kaufman is an attorney, political scientist, professor, author, speaker, and social entrepreneur. He currently practices law at the international firm of O’Melveny & Myers LLP while teaching on transitional justice and social entrepreneurship at George Washington University’s Elliott School of International Affairs. Dr. Kaufman has published two books: he is the co-editor (with Dr. Phil Clark) of After Genocide: Transitional Justice, Post-Conflict Reconstruction, and Reconciliation in Rwanda and Beyond and the editor of Social Entrepreneurship in the Age of Atrocities: Changing Our World. He is the founder, president, and chairman of the Board of Directors of the American Friends of the Kigali Public Library and an Honorary Member of the Rotary Club of Kigali-Virunga. Together, these organizations built the Kigali Public Library, Rwanda’s first-ever public library. 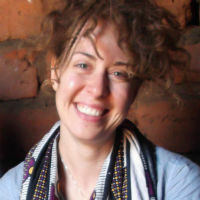 Dr. Kaufman also serves on the Advisory Board of Indego Africa, a design-driven social enterprise connecting Rwandan women artisans with global markets and education. Dr. Kaufman received his DPhil (PhD) and MPhil degrees, both in International Relations, from Oxford University, where he was a Marshall Scholar. He received his Juris Doctor (JD) degree from Yale Law School, where he was the Editor-in-Chief of the Yale Law & Policy Review. Dr. Kaufman received his Bachelor of Arts (BA) degree in Political Science from Yale University, where he was the student body president, co-captain of the wrestling team, and an All-American and Runner-Up National Champion in the National Collegiate Wrestling Association.